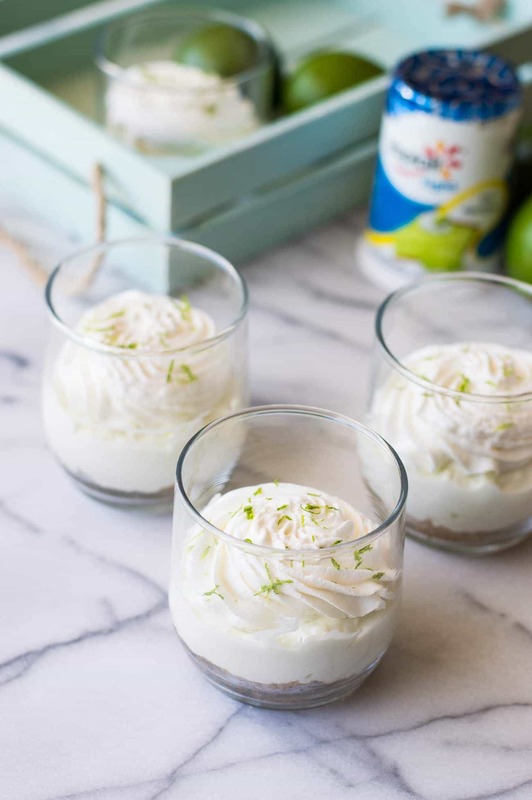 This No Bake Key Lime Cheesecake is topped with a creamy coconut whipped cream. An easy to make dessert that is served in small dishes making it the perfect size for snacking on! No bake. 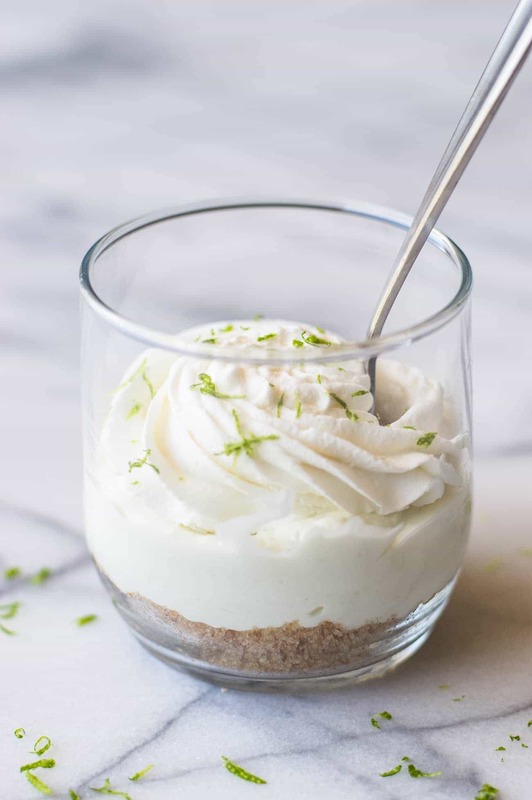 Key Lime Cheesecake. 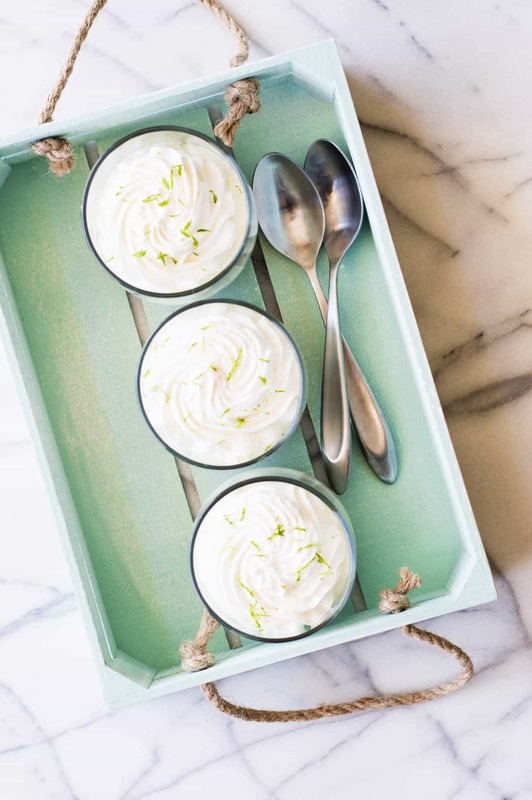 Coconut Whipped Cream. Bliss. 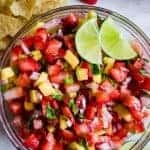 Spring is here and I am craving fresh and fruity flavors! This Key Lime Cheesecake definitely hit the spot. Plus, did I mention: It’s No Bake. Which means, no oven usage required. 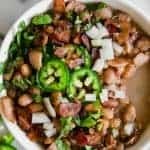 This easy to make recipe is super quick to mix up. And since it’s made to be served in little cups, it’s perfect for snacking on! I’m a huge fan of small desserts. If you’ve been following along for any amount of time you know I have a huge sweet tooth. So making my sweets smaller in size definitely helps me with portion control. Plus, they’re just so darn cute when you make them smaller. Another wonderful thing about this snack size dessert? The flavor. 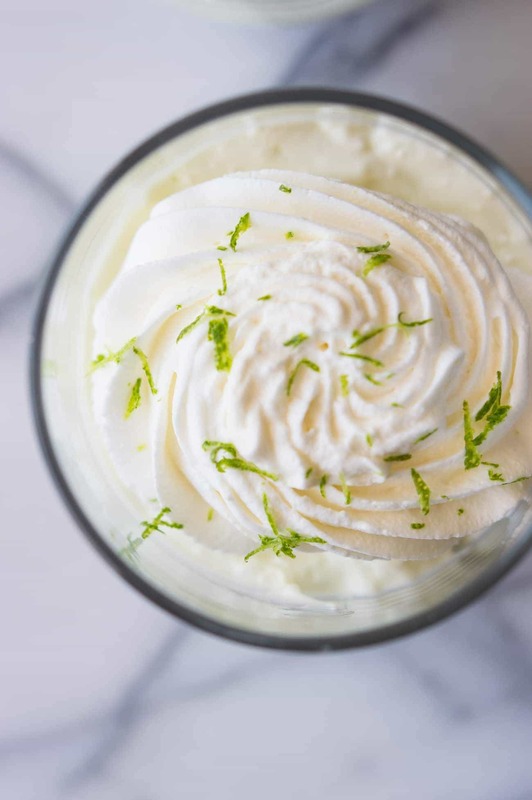 Seriously, it tastes just like Key Lime Pie. All thanks to this little Yoplait®️ Yogurt. Which I think by now you know I got it from Tom Thumb. No Minute Rice yet y’all. I’m still looking!! But this cheesecake recipe is so easy to change up. Just pick a different flavor yogurt and you will have a completely different flavor of cheesecake!! Ta-da!! 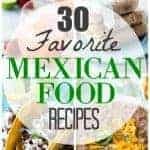 I did make mine with regular cream cheese, but you can also substitute with low fat cream cheese also. So again, basically we have a customizable cheesecake recipe here for you. With General Mills and Tom Thumb, you can find snacks that fit into your day, whatever it may bring. When you do, you’ll Be Snacksational. Totally a thing. Feeling a little strawberry? A little orange? Maybe lemon? The crumb crust is made with vanilla wafer cookies. You can also substitute for graham crackers. Or maybe a chocolate cookie with a strawberry cheesecake on top?! 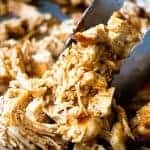 Seriously, this recipe has so many ways it could go. 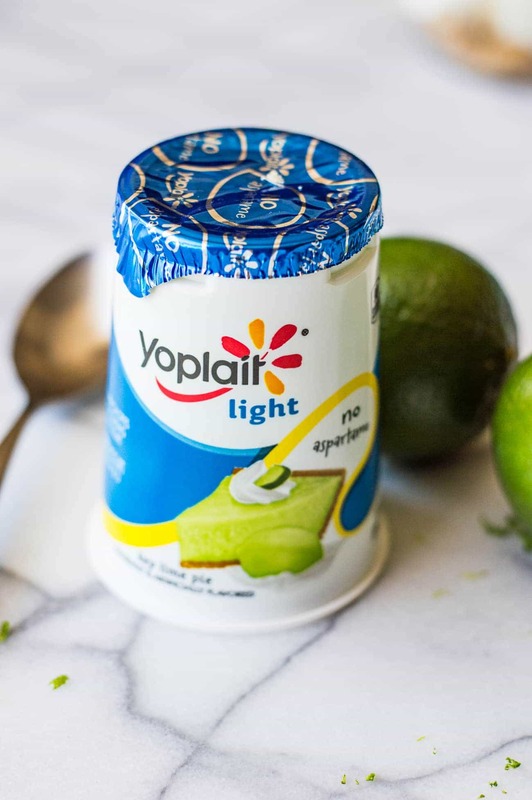 I don’t know about you, but I’m thinking I need to go stock up on some more Yoplait®️ yogurt..
And did I mention that this little key lime cheesecake has a coconut whipped cream on top?!? It’s even better than having a cherry on top. It is the ultimate. 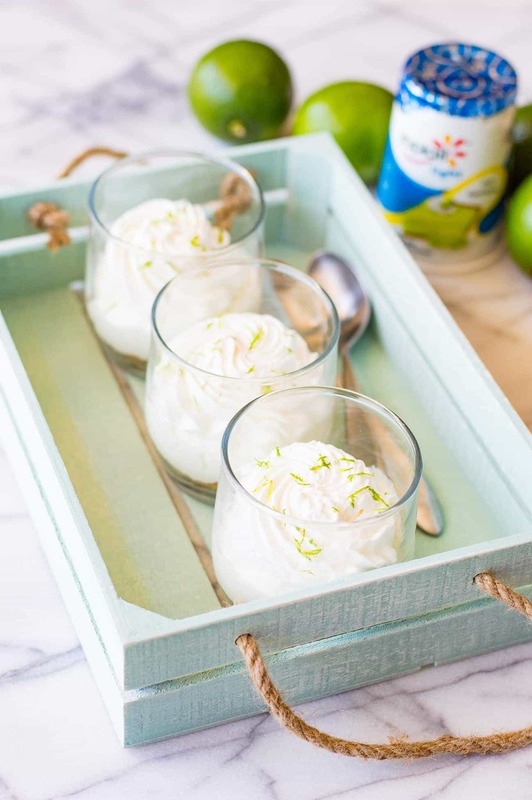 I love the combination of lime and coconut. These little cheesecakes do need to chill in the fridge. And store them there too. When left out at room temperature they will soften. I attempted to make little pies with this recipe, which I was able to do using my muffin tin. But I found that those were best kept in the freezer. They had some structural integrity issues at a warmer temperature. The crust doesn’t hold up strong enough. A cup or a little jar is perfect for this recipe and easier when it comes to snacking! Process or blend the vanilla wafer cookies until you are left with a fine crumb. Mix in the light brown sugar. Pour the melted butter over the crumb mixture and stir until coated. Spoon the crust into 4 small dessert cups. Press the crumbs into the bottom to pack it together to form a firm crust. Beat the softened cheesecake in a large mixing bowl on medium speed until creamy. Add in the Yoplait®? yogurt and continue to mix on medium to high speed until smooth and creamy. Add the vanilla, lime juice and powdered sugar. Mix until fully combined. 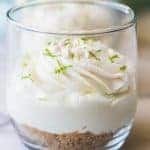 Spoon the key lime cheesecake mixture into the dessert cups on top of the crust. Place the cheesecakes in the fridge for about 2 hours to chill. Mix the heavy cream on high speed in a large mixing bowl until thickened, add in the powdered sugar, vanilla extract and coconut extract. Continue to mix on high speed until thick peaks form. Add the whipped cream to a piping bag and pipe onto the top of the cheesecakes. Top with additional lime zest as desired. Share what flavor combo you would want to try in the comments below!!! 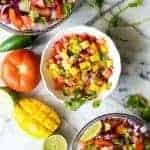 This is a sponsored conversation written by me on behalf of Albertsons (use local banner name) . The opinions and text are all mine.